As globalization moves on a fast track as an inevitable and unavoidable reality, competitiveness has become the password for successful careers and lives. To provide the cutting edge technology, quality education has become a basic necessity for any individual’s success. A holistic approach towards education is seen as the need of the hour. 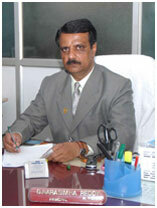 Vivekananda College of Pharmacy is a trusted and respected name in the field of pharmacy education by virtue of its commitment manifested in the quality of the faculty, whose astute teaching skills and scientific research attributes coupled with enormous and profound experience drives the knowledge-yearning student on the right path of pharma education. 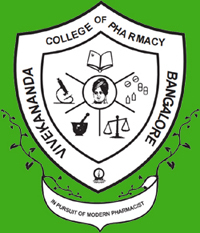 At Vivekananda College of Pharmacy, we understand the role of pharmacists in today’s world. We strive to develop the skills and knowledge among students to help them play their role as pharmacists in uplifting the community health and also be a part of the ever-increasing quest for the medicines to treat diseases. Students are educated not only with respect to the curriculum, research, pharmaceutical industry and retail pharmacy, but are also encouraged to imbibe professional ethics and societal commitment so that they can emerge as pharmacy professionals who can take on the challenges in various aspects of pharmacy profession on the global stage.